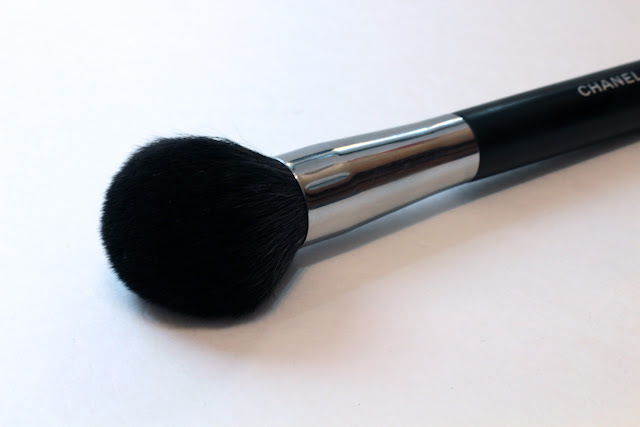 Another multipurpose brush I love is the Chanel #1 Powder brush. It's a big, round brush, but it's surprisingly versatile. I use it for powder, blush, and even a little highlight. Not only is it great for applying product, it's also great for when you apply a little too much. The hair density is great for buffing out product. It's quite soft, not the softest brush I own, but it's up there. I also heard a rumour that the Chanel brushes are made by the Japanese company Hakuhodo, which means the quality is superb. Zero shedding, even when washed. If you'd like to win a Chanel Powder brush, just enter below. All you need to know is that this giveaway is open worldwide and it will end on December 13th, 2012 at 12:00 AM EST. The winner will be contacted via email. Plus, I will announce the winner here and on facebook / twitter. Lancome brushes have been best for me! Eco-tools! They are really cheap! Otherwise, coverFX is good too. Real Techniques + MAC brushes. I love eco-tools and quo brushes :D. Thanks for the giveaway Aleeza!! Sigma brushes. Very affordable and yet good quality. I'm getting into some Inglot brushes now :)! I have a mix of brushes...I'm drawn in to the shape and feel of the brush as well. My favourite brand of brushes is Sigma. MAC Brushes are my favorite that I've tried! I love my hakuhodo brushes! I love elf brushes, had them for years! thanks to your previous real techniques brushes recommendations, I am LOVING those! I do like my Sigma, but I haven't tried that many brushes to know which ones are better. 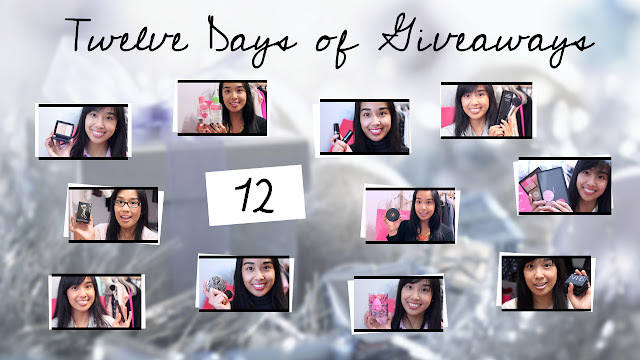 I have a lot of elf and a couple lancome from GWP, but i'd love to try these! Mine are all over the place I dont have a favourite brand yet. I do love my mac brush and cant wait to try sigma. I like ecoTools and elf's Studio brushes! My favorite brand is Quo! I don't have any brushes yet - it's my christmas wish! I really like my Makeup Show brushes, but have some Hakuhodos on the way. most of my brushes are from mac but i definitely want to try some of the higher-end brands as well. My favourite brand at the moment would be Sigma because they are affordable and reliable - they get the job done! So far I've used MAC but wouldn't mind trying something new. My fav are Mac brushes! I don't have experience with many brush brands, but I like my Sedona Lace and Real Techniques brushes. I do have a wish list of Hakuhodo brushes though! I love Sigma's brushes! They work beautifully and are reasonably priced! I love my real technique brushes! I have not tried a lot of brushes, the only brushes I have tried are ELF I really want to try out some other types though! sigma beauty; it is a little pricey but very good quality brushes. I don't really have a favourite brand of brushes. I haven't really tried many different brands of brushes, but ecotools brushes are pretty nice! I have yet to try any MAC or chanel brushes, but I do have a few By Terry brushes which are GREAT!! i like sephora and elf! Hakuhodo, Chanel and Bobbi Brown have some nice brushes. i love the real techniques brushes! My current favourite is ELF Studio line, but only because that's all I have! I haven't tried many different brush brands, but the Lancome foundation brush I have is not bad :) I also have just a generic kabuki brush which I use a lot. I liked MAC brushes. Have a few Chanel brushes. Bobbi browns are good also. I use sephora brand! I've had it for a while now!